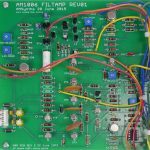 Overview This module is a replica of the 1035 Triple Modulator module from the ARP 2500 synthesizer. 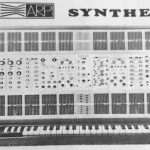 The module was in the original ARP Tonus announcement and it can be seen in the first sample system and in the first ARP 2500 catalog. 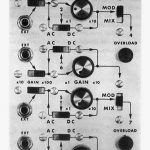 However it was never put into full production and the rack space was typically used by an extra dual envelope generator. 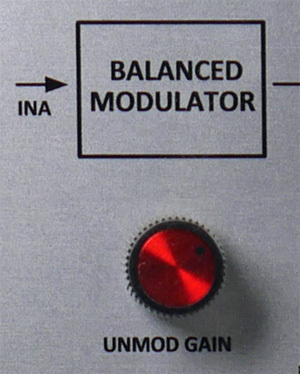 In modulation mode (MOD) it can be used to produce complex ring modulator sounds when all signals are audio/AC. 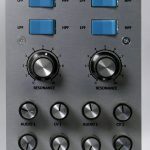 In mixer mode (MIX) it mixes the three signals together with no modulation. 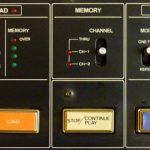 I have recreated the module using ARP designs from the 2500 and 2600, but if anyone has the original schematics or blueprint do let me know. 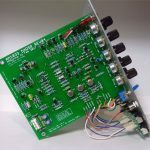 Description The 1035 module has three identical and independent balanced modulators with over voltage indicators and three low level microphone pre amplifiers. 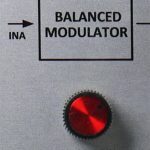 For each modulator there are two audio inputs and one audio output. 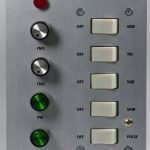 In addition, external signals from low level sources such as microphones, guitars or other electronic instruments may be plugged directly into the front panel jacks on the 1035 module. 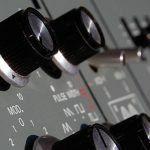 A front panel switch associated with each low level input jack selects either high gain (x100) or low gain (x10) amplification. 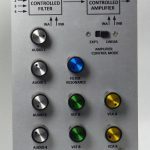 Each balanced modulator will accept two input signals in the frequency range from DC to 20 kHz, which means both control voltages and audio signals can be used. 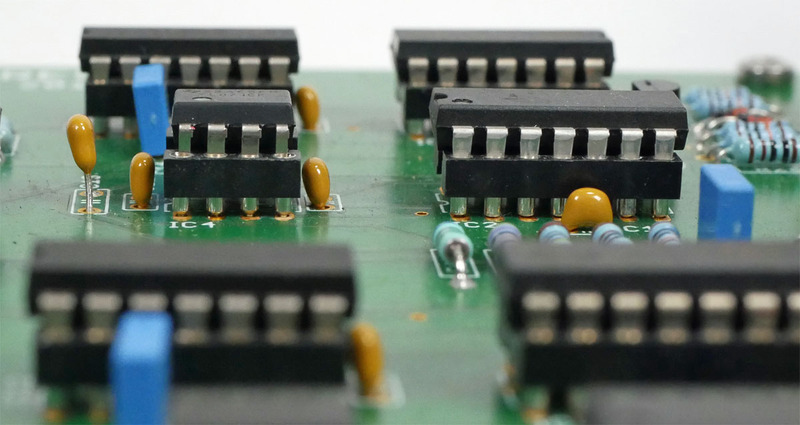 A switch labelled “AC/DC” selects either AC or DC coupling for each of the six inputs. 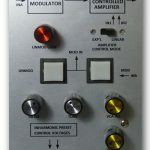 DC Mode In the DC position the input bypasses the gain amplifier (and front panel control) and goes straight into the balanced modulator via the unity gain buffer op amp. 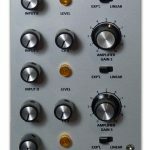 AC Mode In the AC position the input goes via the AC coupled amplifier with the front panel control knob adjusting the gain from unity to 10x. The frequency response is flat to 6 Hz. 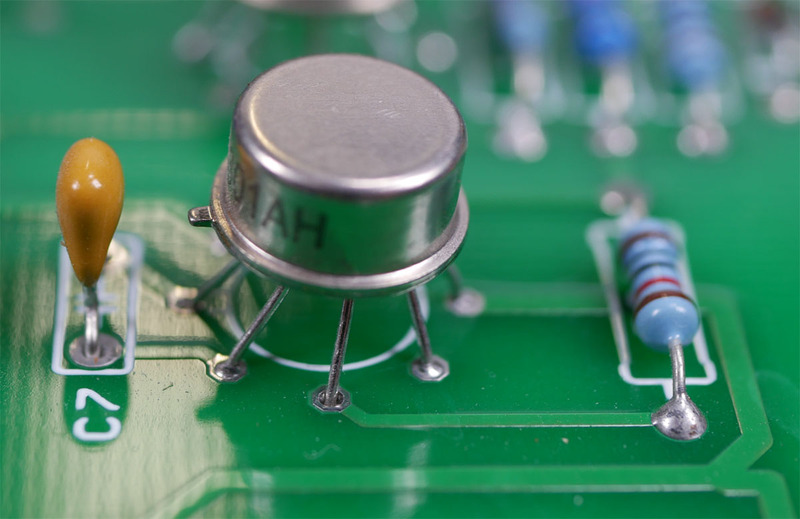 External signals patched into the low level input amplifier are mixed into the adjustable gain amplifier and with the main inputs, but only when the switch is in the AC position. 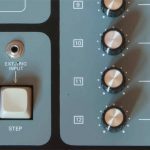 The two audio signals which are being modulated by one another can also be simply mixed in equal proportions by sliding the MOD/MIX switch to the MIX position. 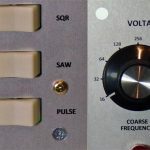 This enables an easy comparison of the pre-modulated (MIX) and post modulated signals (MOD). 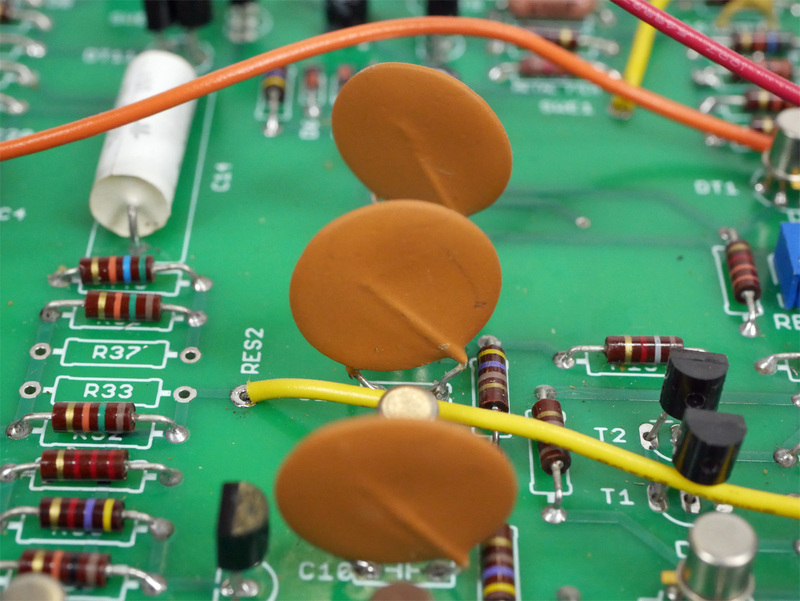 There are three overload lamps that indicate the presence of voltages in excess of +-10V ate the output of the modulators. If the lamp is illuminated, the signal is probably distorted and clipped. 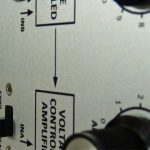 If this happens the amplitude of the input signals or the gain of the amplifier should be reduced. 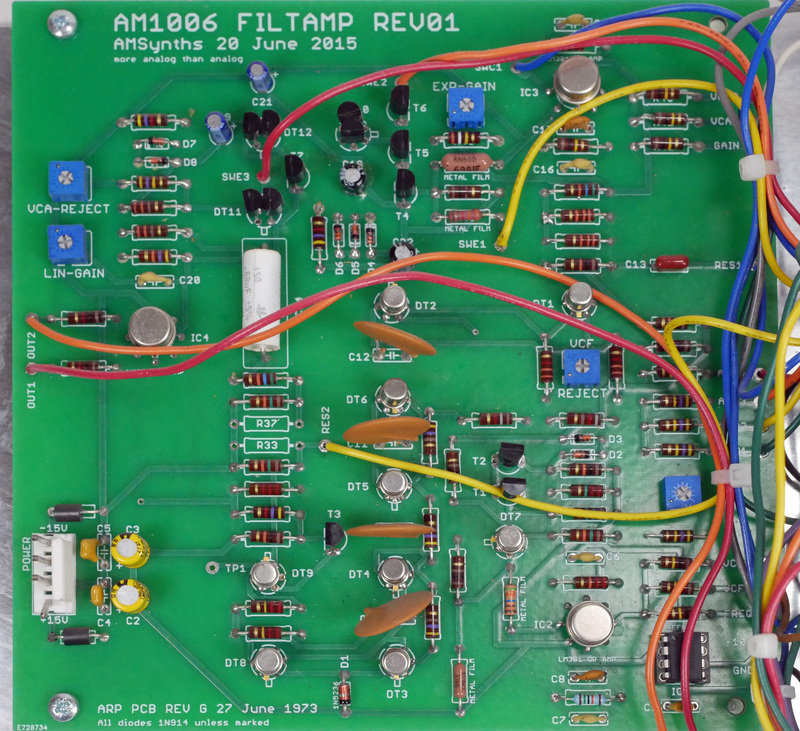 AM1035 Design I have used the ARP 4014 circuit as the basis of the balanced modulators, which was developed as part of the 2500 system and used in the 1005 Mod Amp. 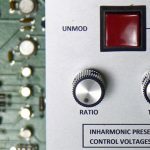 The high gain amplifier is from the microphone input of the ARP 2600 but without the 1000x gain setting. 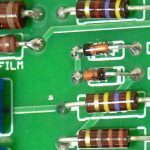 I have added a buffering Op Amp to the X input of the 4014, and upgraded the Op Amps from the original LM301’s. 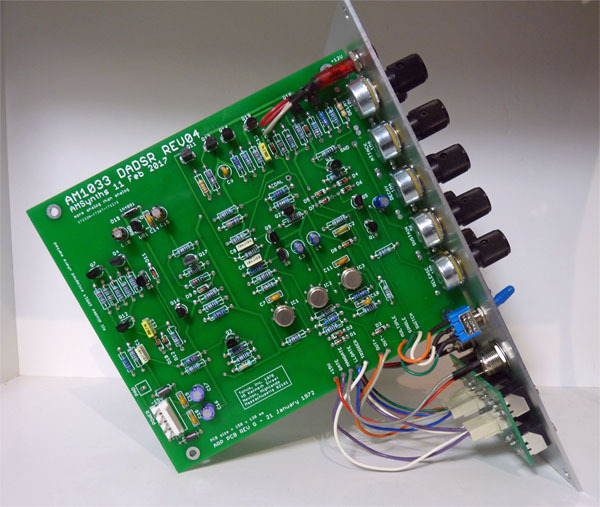 The signal path into the 4014 has been modified to replicate the 1035 separation of AC and DC signals, the mix in of the external signal and to create the MIX mode. 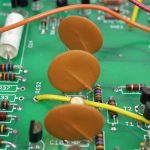 The 4014 uses THAT quad matched transistor arrays for the current mirrors which work well in this application, with no need to use the Linear Systems matched transistors I have used elsewhere in the AM2500. 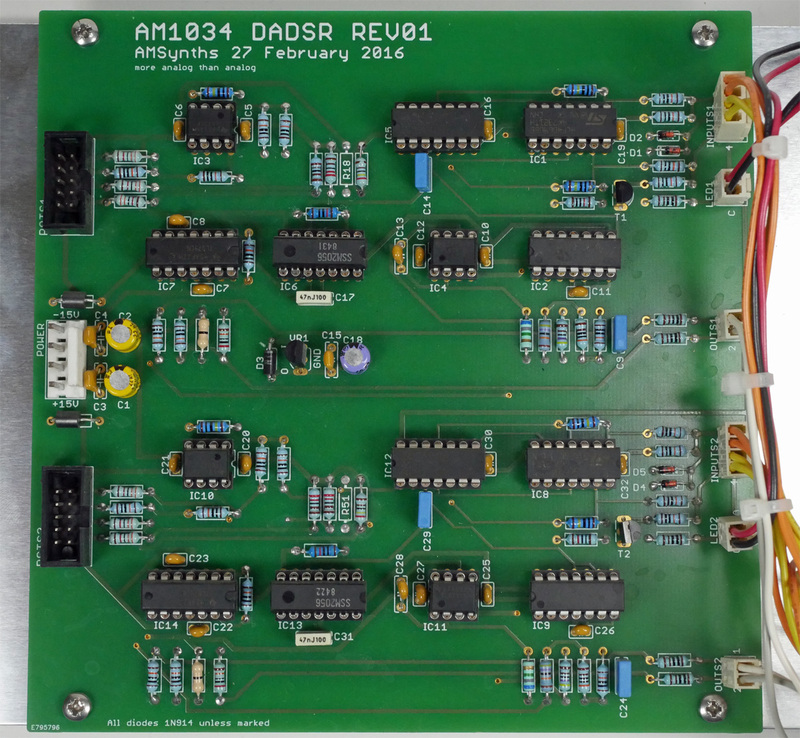 The pre-amplifier Op Amp has also been upgraded from the obsolete MC1339. 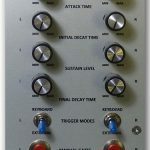 A summing Op Amp has been added to take the three balanced modulator outputs and mix them into a single audio output, a new feature from the original. 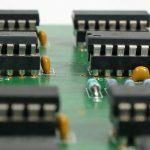 Red 5mm LED’s have been used for the overload indicators rather than the original current hungry and slow incandescent bulbs. Front Panel The panel is 5U MOTM format, but with 3.5mm jack sockets mounted at the base of the panel. 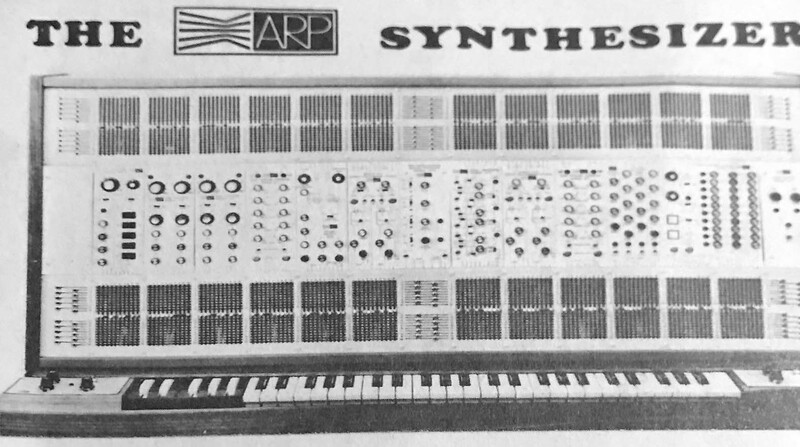 The panel design closes follows the original layout and graphics. 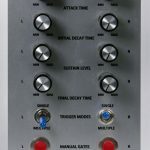 Controls There are 6x gain potentiometers on the input side of the balanced modulators, 3x gain, 6x AC/DC and 3x MOD/MIX slide switches, and 3 overload 5mm red LED’s. 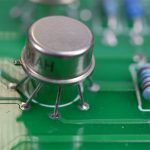 Build History & Outcomes The PCB was laid out in late March 2019 using the 4014 designs I have previously proven and with the addition of Op Amps for the various gain stages.